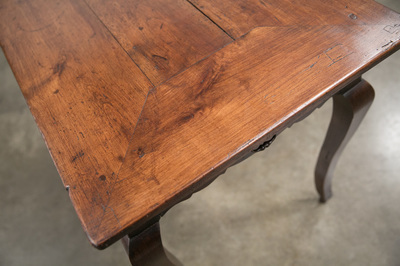 Lovely period Louis XV Country French farm table handcrafted by talented artisans in the Brittany region of solid cherrywood with a scalloped apron and a drawer on one end, raised on cabriole legs. 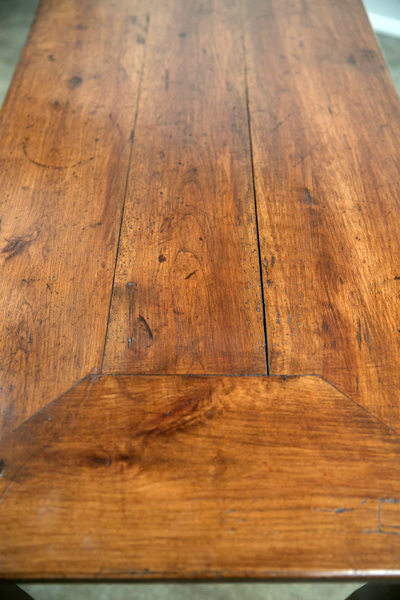 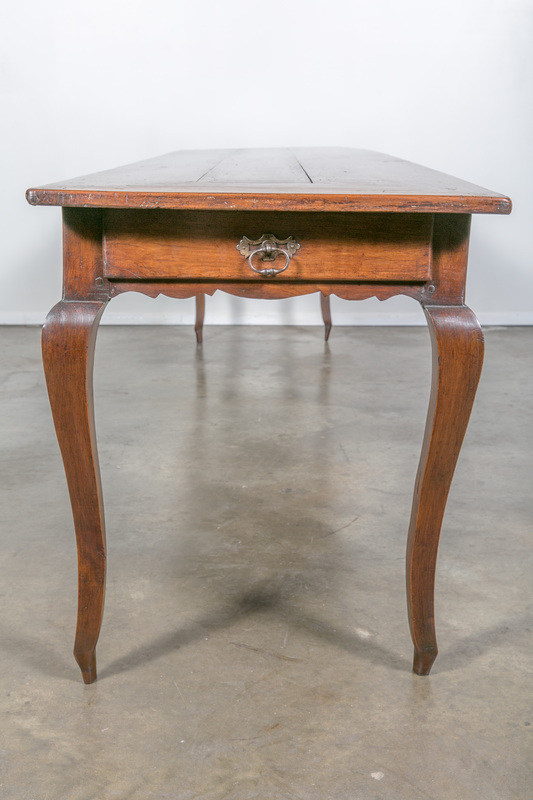 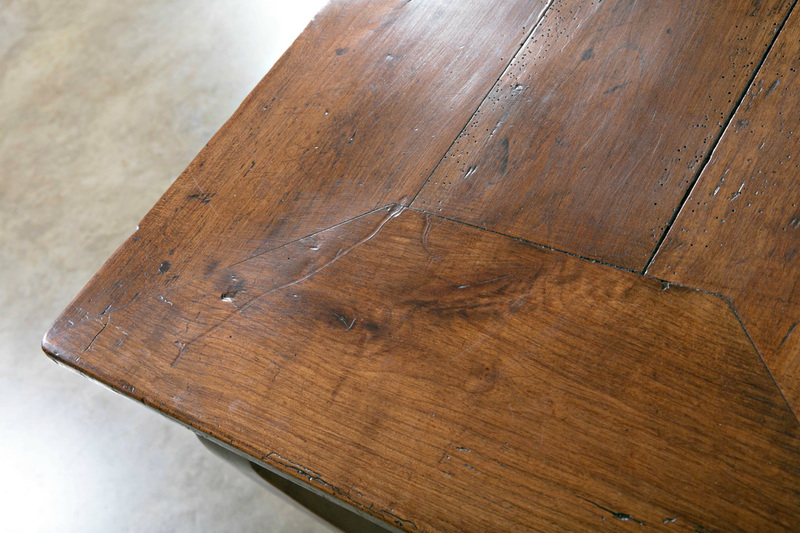 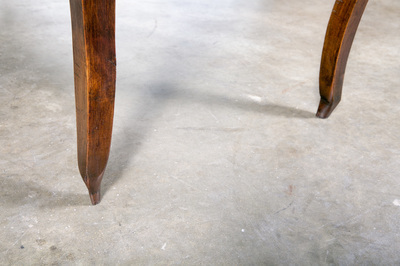 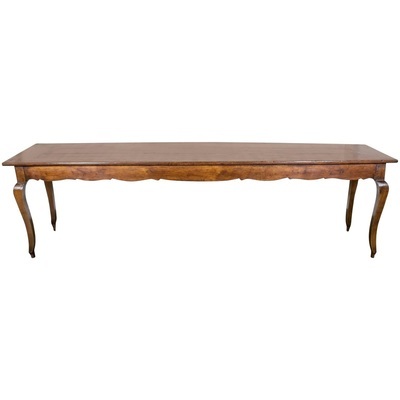 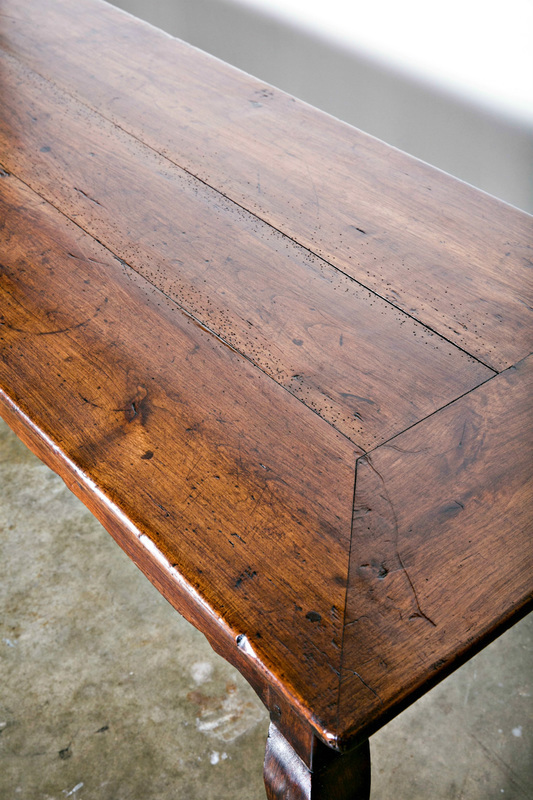 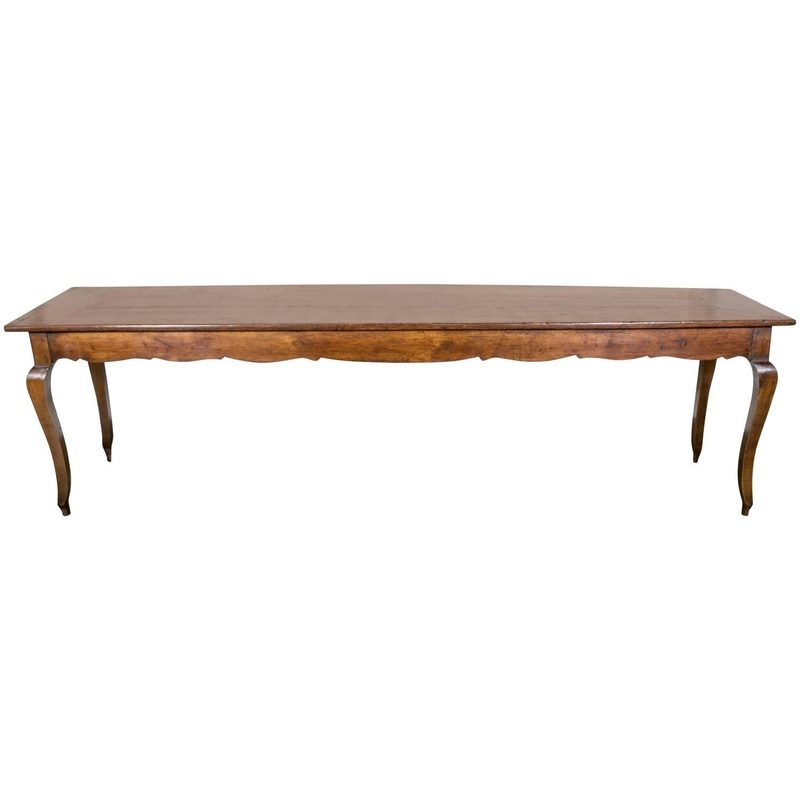 This classic country French dining table retains its beautiful rich, original color and patina and has a fresh French polish that allows the wood to shine. 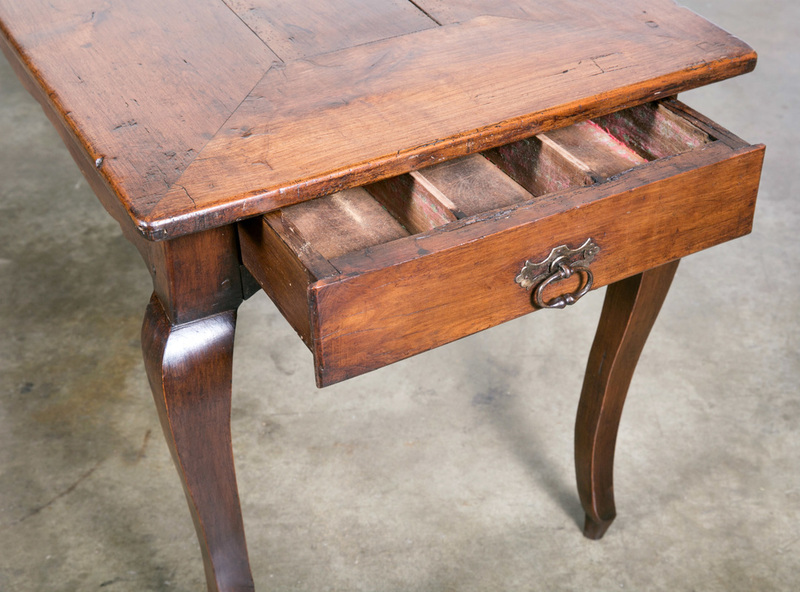 It was originally used by nuns in the local convent and would make a wonderful console or sofa table as well.